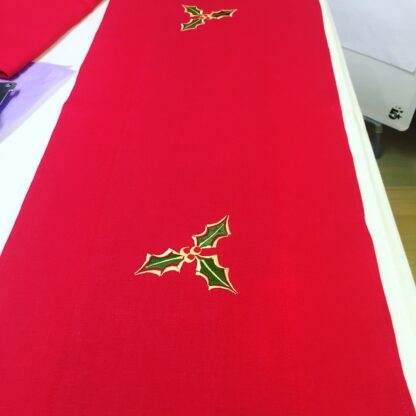 A beautiful colour at any time of the year but especially at Christmas time. 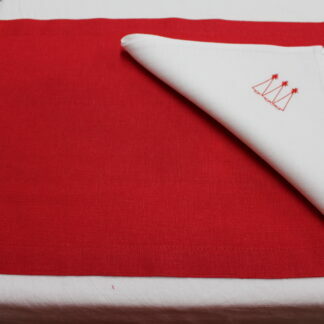 Available plain or with motif of your choice. 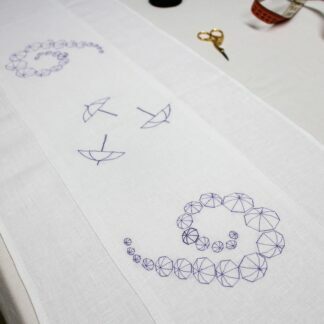 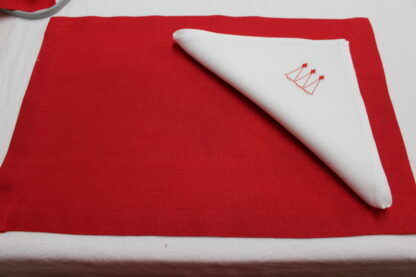 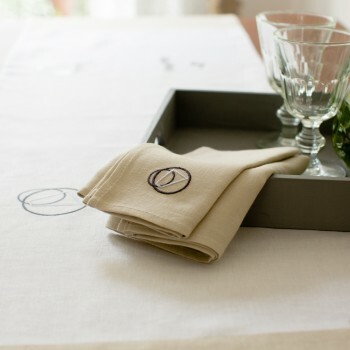 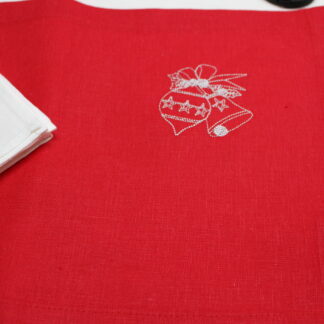 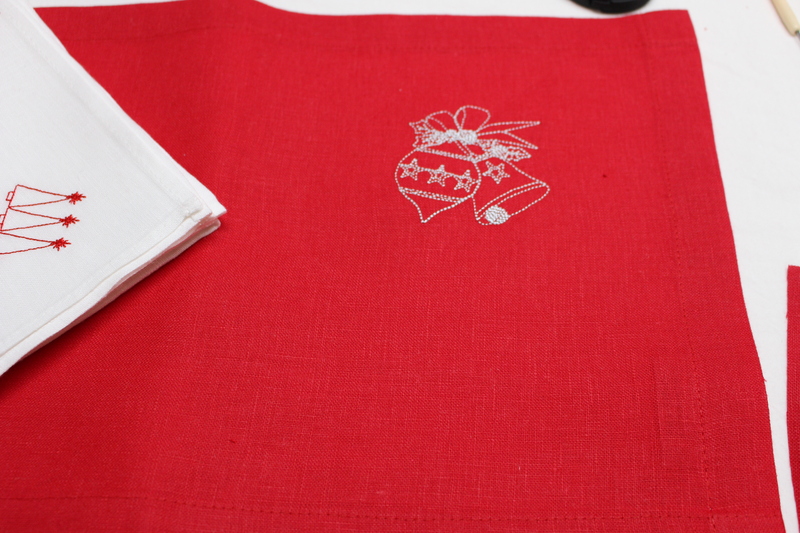 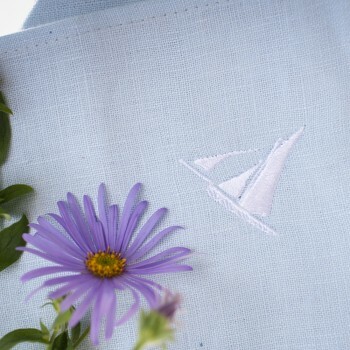 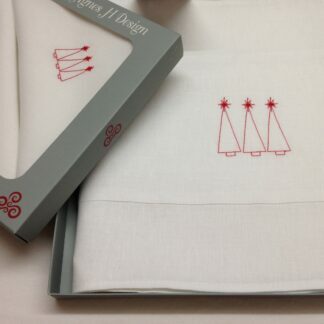 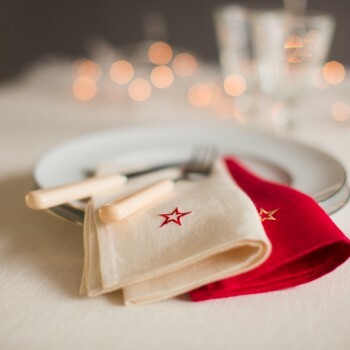 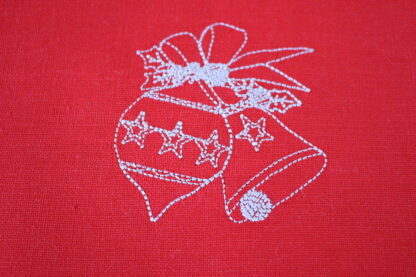 These red Irish linen placemats are so festive and rich. 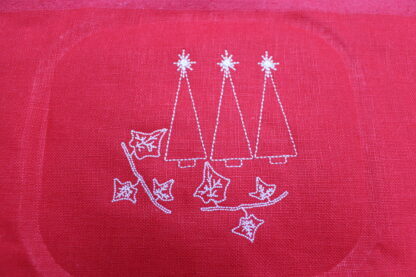 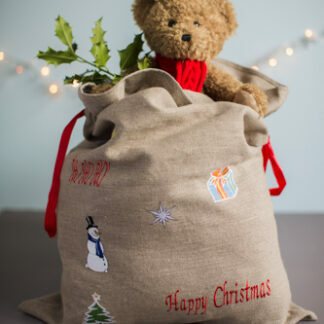 Available with choice of motif; holly, baubles and our three wise men.